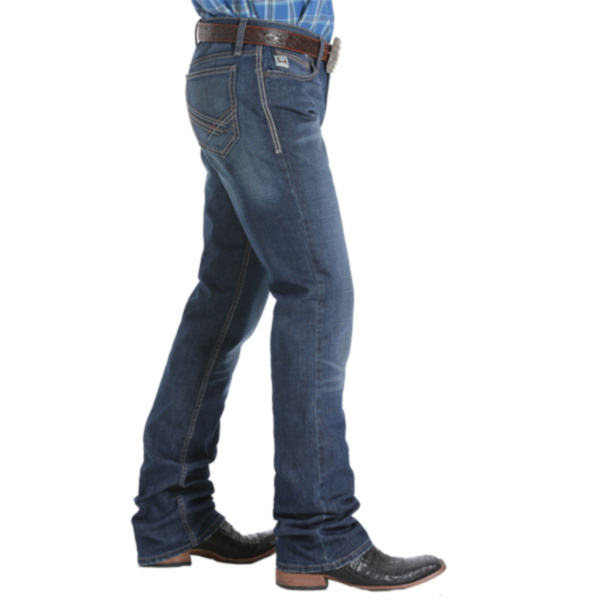 These new Cinch Ian Performance Denim Medium Stonewash Jeans are a full of stylish details from top to bottom. 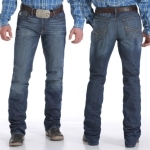 These slim fit boot cut jeans are constructed of premium Performance Denim to move and work with you. 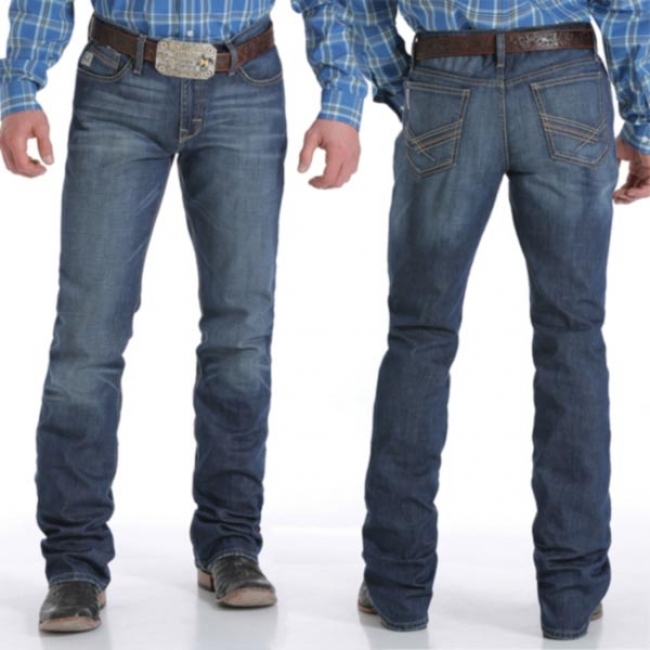 The medium stonewash is finished with hand sanding, permanganatem whiskers, knee starbursts, and stitching details. The back pockets are embroidered with shades of bronze, beige and cream for a subtle, yet trendy design.